No one likes feeling rushed on their seasons. Shoppers throughout the US say they’re not excited to see Halloween decorations in August, nor are they excited to see Valentine’s Day decorations showing up in drugstores and big-box retailers during the first week of January. And yes, while we understand that talking about tuning up the furnace at your Longmont, CO home in September may feel a bit rushed, there are several good reasons you’ll want to consider it. 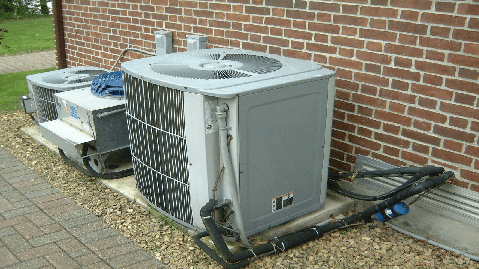 First and foremost, if you wait to contact a HVAC service provider to help you with this after the weather starts to get cold, chances are much better than not that it will take you longer to get an appointment. When you schedule a furnace tune up now, the technician will be able to determine if there are any pending problems that need to be addressed. It’s always best to make sure your heating unit is running properly before you actually need to use it. Case in point: Last year we had a client who was expecting some out-of-town visitors, and the day they were supposed to arrive was the same day she turned her furnace on for the first time. Suffice to say, she was quite alarmed when she found out it wasn’t working properly! We were able to help her get it up and running before her guests arrived, but it was a close call. Not all Longmont, CO homeowners are this lucky! Like we said, it’s always best to have an experienced HVAC technician give your equipment a once over before you think you’ll need to turn it on. When you work with Comfort Pros we will check your filters (and replace them if necessary), we’ll inspect your heat exchanger for cracks and we’ll also perform a system tune up, so you can rest assured that your furnace will be running efficiently during the fall and winter months. It’s also worth mentioning that a well-working system will use less energy (which translates into savings on your monthly heating bill). It will also last longer than a system that doesn’t get regular tune ups. The experienced HVAC technicians at Comfort Pros have been helping homeowners in Northern Colorado with all of their furnace repair, maintenance and replacement needs for nearly a decade. Regardless as to whether you need help with an immediate repair or if you’d simply like to learn more about our furnace tune up packages, we’re here to help. Call us today at 303-945-4319 to speak with a local team member in your area. When you work with Comfort Pros you’ll be working with a licensed and insured service provider that’s committed to ensuring that all jobs are done correctly, on time and on budget. Call today to learn why we’re the top-rated HVAC company in Longmont.